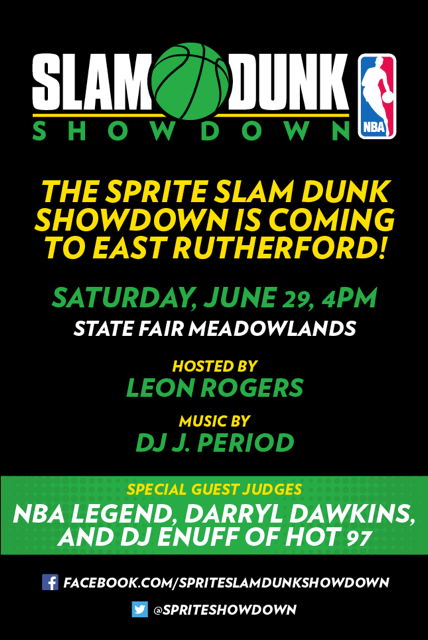 J.PERIOD serves as the Official DJ for NBA Nation’s Sprite Slam Dunk Showdown at New Jersey’s Meadowlands. This event features 3 rounds of high-flying action plus celebrity guest judges DJ Enuff and NBA Legend, Darryl Dawkins a.k.a. “Chocolate Thunder”!